I am teaching a partial credit course for the Languages and Cultures and Humanities Residential Colleges this year, called Humanities in Action. This is a project based course that meets once a week over supper to develop ideas for Humanities based projects and develop and design them in a group. There are some basic tools that can help you with your DH projects, whether you know programming or not. Here are some of the ones my students and I have found most useful. Tutorials are also linked. 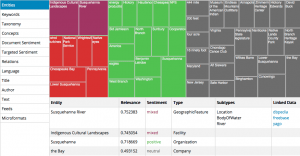 Voyant is the best multi-tool text analysis platform for a start. The version that is online is the earlier release and can be found as part of the suite of tools that can be found here. There is a new version of Voyant that brings these different platforms into one interface and which doesn’t require switching between tools. If you want to use that, ask me. I have a version on my thumb drive. Voyant is very good as a concordance and frequency analysis visualization tool. It can work with large amounts of text in multiple files. You can compare aspects of different texts easily. For example, which words come up most frequently in which texts; which terms are collocated; what are the vocabulary densities of different texts? 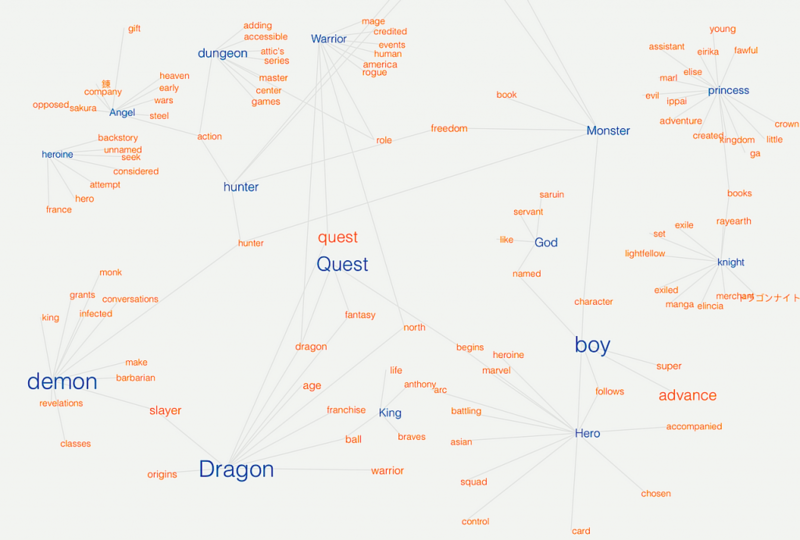 There are also sites/tools for analyzing large amounts of text data from a macro or high level perspective: for example, Google Ngram viewer which visualizes word frequencies in the corpus of Google digitized books (in multiple languages) and Bookworm which visualizes trends in repositories of digitized texts. Topic modelling is a method by which your text is chunked into pieces and a computer works out what the most important topics are in the chunks. The algorithm is not interested in meaning, just in related concepts. The best tool for this is MALLET; a Java-based package for statistical natural language processing, document classification, clustering, topic modeling, information extraction, and other machine learning applications to text. MALLET includes sophisticated tools for document classification: efficient routines for converting text to “features”, a wide variety of algorithms (including Naïve Bayes, Maximum Entropy, and Decision Trees), and code for evaluating classifier performance using several commonly used metrics. But if you are not comfortable with command line programming there is also an online version that can work for smaller amounts of text. That can be found here. Miriam Posner has written a great blog about how to interpret the results from Topic Modelling outputs. There are lots of online platforms out there for mapping data. It all depends how fancy you want to get and whether you want to do more than map points. CartoDB is definitely fast and flexible. If you have a csv with geo-coordinates you can upload in seconds and have a map. It also has a geo-coder that can quickly turn your list of places into latlongs. 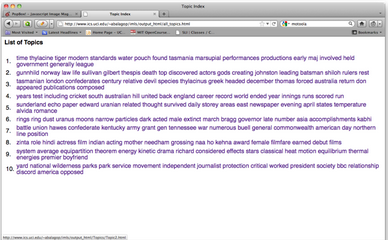 Another way to go is through Google Fusion tables. Again this is a super fast and easy way to map data. You can also produce a nice “card view” of entries that will make your Excel spreadsheets into much more reader friendly format. There are also other multiple ways to visualize your data in graphs, networks, and pie charts. ArcMap online is another way to go if you want to produce far more sophisticated mapping visualizations, such as Story Maps and Presentations. Bucknell has an institutional account. If you want to use it, let me know. Palladio is an interesting multi-dimensional tool from Stanford Literary Labs. It can produce maps, networks, timelines and graphs of your data. Here is a tutorial for my HUMN 270 class, written by Miriam Posner. This is a part of DH I have not yet ventured into, but others on campus definitely have! The easiest entry into modelling is SketchUp. We also have Rhino loaded on the machines in Coleman 220 and it is regularly used in Joe Meiser’s Digital Sculpture class. If you re interested in curating a digital exhibition of artifacts, the best platform to use is Omeka.net. This is a free online version of the more robust and versatile Omeka.org platform which has to be installed on Bucknell’s servers (which can take a while). Omeka.net allows you to upload digitized images, documents, maps etc to a “collection” that can then be arranged and curated as an online exhibit. This is particularly useful if you have found a collection of photographs (maybe your own) that you would like to present in a public facing platform with a narrative logic. Again, if you want to do this I am happy to show you how. 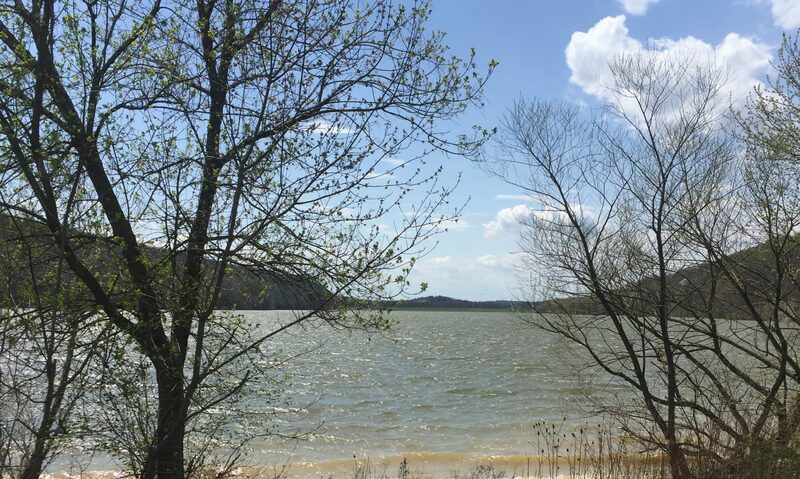 Here is a link to my own (developing) Omeka site at Bucknell on the Stories of the Susquehanna. The server-based version has a very nice visualization tool called Neatline, which allows you to link the digital artifacts in your collection to a base image (maybe a map or a painting) and then annotate. 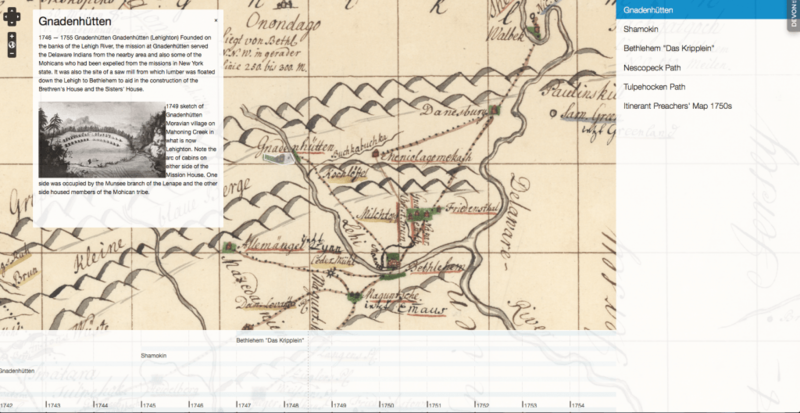 This is an example I am developing for the 1750s Itinerant Preachers’ Map of Pennsylvania which I have used a great deal in my research and also in my teaching. There is also a Timeline widget you can activate. I have discovered a great tutorial on how to use Omeka and Neatline here, put together from a workshop given at the Michelle Smith Collaboratory at the University of Maryland. 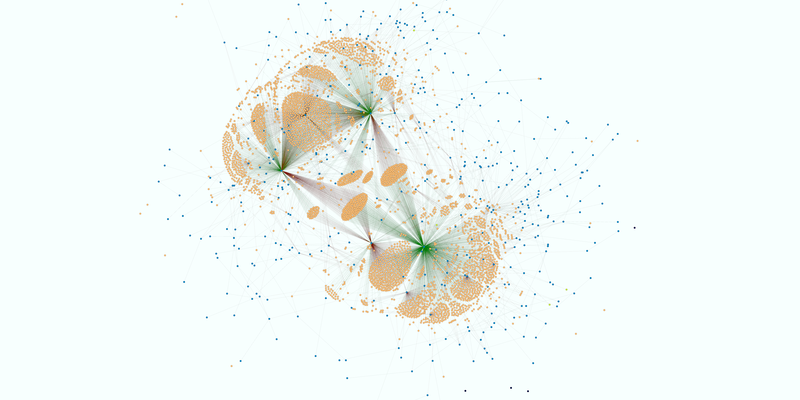 If you want to create a network visualization in more detail and depth, use Gephi. Gephi is an open source, free, interactive visualization and exploration platform for all kinds of networks and complex systems, dynamic and hierarchical graphs. It runs on Windows, Linux and Mac OS X. One of most important issues to consider before investing a lot of time in learning Gephi is whether or not your research question might be answered through using this visualization platform. Ask yourself these questions, and then if the answer is yes, prepare your data! Gephi has an excellent set of tutorials on GitHub. Data can be prepared directly in Gephi or can be imported in csv format. Diane Jakacki and I gave the following presentation yesterday at DH2015 in Sydney, Australia. We include the slides and the abbreviated form of the talk. The complete version will be published as an article in the near future. Thanks to everyone for coming and for your interest! We take our title from Alan Liu’s challenge to DH educators to develop a distinctive pedagogical hermeneutic of “practice, discovery, and community” What does this look like? How do we put this into practice? This paper focuses on our teaching experience at Bucknell University in the academic year 2014-15 to show how the planning, design, and execution of a new project-based course, Humanities 100, introduced undergraduate students to the world of digital humanities through the use of selected digital tools and methods of analysis. This course, taught within the Comparative Humanities program, was designed specifically for first- and second-year students with no background in digital humanities, in order to encourage the development of digital habits of mind at the earliest phases of their liberal arts curricular experience. Developed to encourage examination and experimentation with a range of digital humanities approaches, the course asks students to work with primary archival materials as core texts to encourage digital modes of inquiry and analysis. The decision to root the course in a multi-faceted analysis of archival materials provided the rare chance for students to also engage in the research process typical for a humanities scholar: namely, the discovery of artifacts, the formulation of research questions, followed by the analysis and synthesis of findings culminating in the publication of initial findings in a digital medium. In the process, we introduced students to the basic structure of how to develop a DH research project. The Comparative Humanities program is an ideal curricular environment to teach such classes with its explicit learning goals of comparativity (historical period, cultures, genres, modality) to which we added course specific learning goals that pertain to DH. (Slide with goals) The course therefore provided us with the opportunity to not only expose students to methodologies related to distant and close reading, network and spatial visualization, but also requiring that they learn to think critically about what each of these methods, and the tools that they used within the course, reveals in the texts with which they worked. To date the course has been taught three times: as twin sections in Fall 2014 in which we both used the same scaffolding method with discrete subject matter and core texts. We participated fully in one another’s sections – this gave us the opportunity to teach our specializations within each other’s classes. Katie Faull taught the course again in Spring 2015, and Diane Jakacki participated. Both of us will teach a section next year. This approach to teaching is important as we consider how to incorporate DH into the classroom. It required significant commitment on both our parts to the actual execution of the course, as well as recognition that we needed to be transparent to ourselves as well as to our students about how this represented a new model for course design at Bucknell. It is important to note that while other DH-inflected courses are being taught, this is the first Digital Humanities course at Bucknell. At Bucknell, the focus in digital humanities scholarship and learning to date has been primarily on spatial thinking, until recently rooted in working with ArcMap-type GIS and thinking about humanities in “place”. It was important to both of us to emphasize and extend that objective in the development of the course and its learning outcomes, and so we focused on finding materials that would be of interest to students so that they could relate to the historical context more directly. The first time the course was taught we decided to run it in two sections, anticipating an opportunity to reflect different perspectives of our expertise with DH methods and tools. Diane’s focus has until now been on text encoding and analysis, while Katie’s has been on mapping and data visualization. We also worked with discrete data sets of archival materials. Katie’s course focused on the Colonial mission diaries of the Moravians from Shamokin, Pennsylvania (today Sunbury) and situated 9 miles downstream from the university. Written in English, the diary sections selected dealt with interactions between some of the first Europeans to the area and the Native peoples they met and worked among. Katie has spent the past five years working with this subject matter, and is considered an expert in the field of Moravian studies. Both of our choices reflect and extend Bucknell’s interest in digital/spatial thinking in terms of its place in the larger historical and cultural narrative. In all cases, students responded well to the investigation of places familiar to them, with several students having family connections to specific locales mentioned in the archival materials. The pedagogical hermeneutics of Humanities 100 were intentionally designed to encourage student examination and experimentation and discovery with a range of digital humanities approaches. To this end, the sequencing of the modules was carefully designed so that the “product” of each module then became the “data” of the next module. In addition to praxis-oriented assignments, we wanted students to understand the broader context of their work within a DH framework. To that end we assigned theoretical readings and analysis of a range of major DH projects, which students then wove into their online reflections. Extensive use was made of online platforms that emphasize important forms of digital engagement, including collaborative online writing environments. Each module ended with a short assignment and also a reflective public-facing blog post that became a shared form of intellectual engagement. In order to begin any kind of DH archival project the students had to produce a digital text. In the first iteration of the course we did not have a transcription desk available and so students transcribed the assigned pages of the original into a shared Google doc. This digital text was then color-coded in terms of “proto” tags to ease the way into close reading with TEI tags in Oxygen. By the time the second semester started we had obtained an institutional subscription to the online platform Juxta Editions which we were then able to use as the transcription platform and also the introduction to thinking about tagging. From the transcription came the lightly marked up digital text that was then imported into Oxygen for more complex tagging. Students then began tagging in earnest and were introduced to the discoveries of close reading involved in marking up a text. Names, places, and dates were easy (in Juxta edition they had already been imported). However the hermeneutical fun started with working out whether a boat was a place or an object, for example. Or whether God was a person. And just what is balsam, an object? an emotion? This data, the TEI tags, crucial to the success of the students’ mark up assignment and the production of a final digital document, needed some restructuring as we moved onto the next module. To manage this, we developed a prosopography for each core text – a database of people, places, and connections that grew organically out of the focus of each specific section and provided the data for entry into Gephi and was then built out in adding geospatial data for GIS. So for example, one group of students wanted to use Gephi to interrogate the assumption that relationships between the missionaries and the Native Americans in the area around the mission remained constant. However, by using the TEI persName tags and exporting them into a Gephi node/edge tables the students were able to show how relations between the Native leaders and the Moravian missionaries changed over a five year period of the mission (Include slide of Jerry and Henna’s work). Students also used the sigma.js plug in so that the network visualizations were interactive. However successful this team was in their work, it was clear from all iterations of the class that the hermeneutics of social networks was the hardest for the students to analyse and manipulate (which is quite ironic, given how most of them are well plugged in to Twitter, Instagram, etc). Lastly, students worked in ArcGIS Online to consider the evidence they had discovered within these texts in terms of spatial analysis. The story maps they produced became a new form of critical essay, with thesis, arguments supported by direct evidence, and conclusion all presented within a story map framework. so, for example, one student used Linn’s references to ships running aground during a storm at Hatteras Inlet, found a contemporary document reporting on the damage done to Union ships during this point in the campaign, and overlaid his evidence on a nautical map drawn in 1861 to determine where Linn’s ship had foundered. Another challenge to the class design was the high number of L2 students who enrolled in it. In Katie’s Fall 2014 section there were 2 students of 9 from mainland China; in her spring section that ratio increased to three of five. In the fall there was one from Australia and one from Vietnam (neither L2s but international students); one student in the spring course was from South Africa – her first language was Afrikaans. Although the students admitted to being challenged by the readings and also the public facing writing in the blog site, a means for adjusting for student errors and allowing for corrections was developed that would allow the students to post their blog reflections in a way that did not impede their openness to reflection, knowing that they would have an opportunity to correct their English. However, for all the challenges involved in teaching the class, there were moments of glory. Disengaged students became engaged; solitary learners recognized the essential need to collaborate in order to succeed; participants recognized the transformative nature of the course to their own concepts of the humanities. Students were eager to participate in crowdsourced data collection; they were intrigued to visualize ego-networks as they learned the concepts of network theory; they were excited to see their marked up transcriptions published in an online digital edition. Through these discoveries, they realized that they were creating a community of young DHers and expressed eagerness to take part in more of these learning experiences. Thank you! This is the transcript of the paper that Diane Jakacki and I presented on July 9, 2014 at DH2014 in Lausanne, Switzerland. We are currently expanding this paper into an article for publication. The PowerPoint slides that accompanied our presentation are included at the end of this post. This evening, in the HUMN 150 class, Art Nature Knowledge, we will use our first mind map, created using Spiderscribe. I hope it works. I will try to add notes as the “scribe” during the class, so that tomorrow we will be able to use this mind map for discussions of the texts. Here’s the map for the course Introduction! I will report back on how this goes! Wish me, John Hunter, and Nick Kupensky luck!! Dodging picket lines and security alerts (aka a typical London day) Param Bedi (Bucknell’s VP for L and IT) and I made it through a labyrinth of alleys and courtyards yesterday afternoon to University College, London’s Centre for Digital Humanities to meet with Professor Melissa Terras, its director and co-founder. I was really interested to meet her to talk about how to go about creating a vibrant network of DH both at Bucknell and beyond, and also to see how my own work on Moravians fits well into this marriage of the old and new. Repeatedly in the Moravian mission diaries we find entries that read, “We went visiting …” or, “We spent the morning visiting….” What might on the surface appear to be a casual reference to an extreme sociability of the Moravian missionaries is however a reference to the pastoral practice of the “Besuch” or visit. An important part of Moravian pastoral care in the towns and in the mission field was to visit both those who were already members of the Gemeine, and also those who were not. And, as Moravian pastoral care in the colonial period also required that men speak to men and women speak to women, as much as was possible, then both members of couples such as Martin and Anna Mack, missionaries at Shamokin, or Anna Margarethe and Johann Jungmann, missionaries at Shekomeko, NY were active in this practice. The Moravian sisters were also not just present to speak to the Native American women in German or English. They were present because they were frequently the ones who possessed the linguistic skills to interpret and translate from German or English into Mohican, Delaware, Oneida, Seneca. For example, both Anna Mack and Anna Jungmann spoke the languages of the Native Americans living around the mission settlements. Anna Mack had learned to speak Mohican from the neighbors to her father’s farm in upstate New York. Anna Margarethe Jungmann had learned to speak Mohican (and later Delaware/Lenni Lenape) when she had first been sent out into the mission field. The practice of the “visit” could be seen as laying a foundation for the discursive practice of the “Speaking” that was the subject my my last post (and the lectures at Moravian seminary). The repeated “bringing into words” of the personal experiences of loss and redemption, despair and hope were linked to the physical or somatic manifestations of spiritual states; and this self-expression (a hallmark of both Pietist and many Native American world-views) was encouraged and practiced in all senses of the word in the Moravian world of the eighteenth century, whether the subject was English, German, Mohican, Delaware, Igbo, or Inuit. One could ask the question, if this “Speaking” was so practiced, then could it also be authentic? In what ways can a formulaic genre also be a personal expression of selfhood? This is kind of question we will be tackling next semester. From “Brother Martin Mack’s Journal from the 13th September 1745 N.S. of his Journey and Visit to Shamoko.” Papers of Martin Mack, Moravian Archives, Bethlehem, PA. It is also one that I have grappled with in my essay on the use of “parrhesia” in the Moravian discursive world, “Speaking and Truth-Telling: Parrhesia in the eighteenth century Moravian Church” in Self, Community, World: Moravian Education in the Transatlantic World, eds. Heikki Lempa and Paul Peucker (Bethlehem: Lehigh University Press, 2010), 147-167.